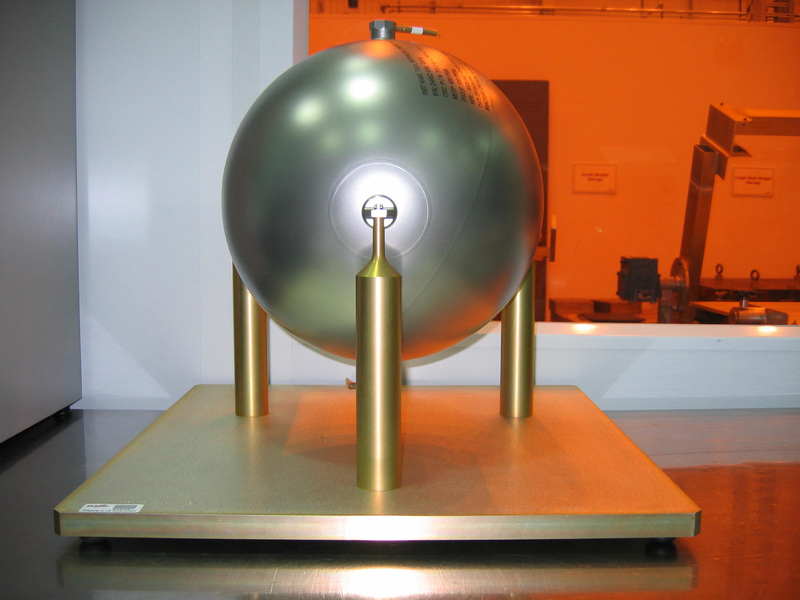 This image shows a portion of the IBEX-Lo sensor called the IBEX-Lo time-of-flight spectrometer subsystem while it was sitting on a vibration test fixture, just before vibration testing. 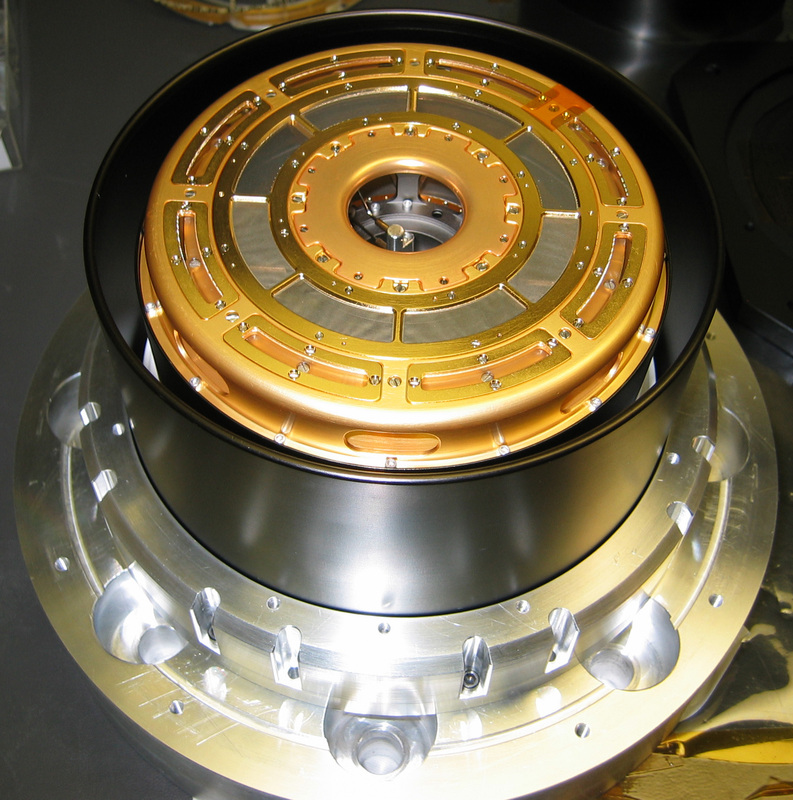 The time-of-flight spectrometer subsystem is the part of IBEX-Lo that determines the velocity of the detected particles. 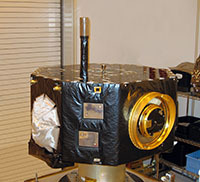 This image shows the IBEX-Hi sensor when it was under construction, prior to integration with the rest of the IBEX spacecraft. IBEX carries a small amount of propellant (hydrazine) on board the spacecraft to allow it to re-orient itself periodically to always stay pointed at the Sun. This is the propellant tank, prior to integration with the rest of the IBEX spacecraft. The IBEX spacecraft uses sunlight as its power source. The solar panels are always pointed at the Sun as the spacecraft orbits the Earth. 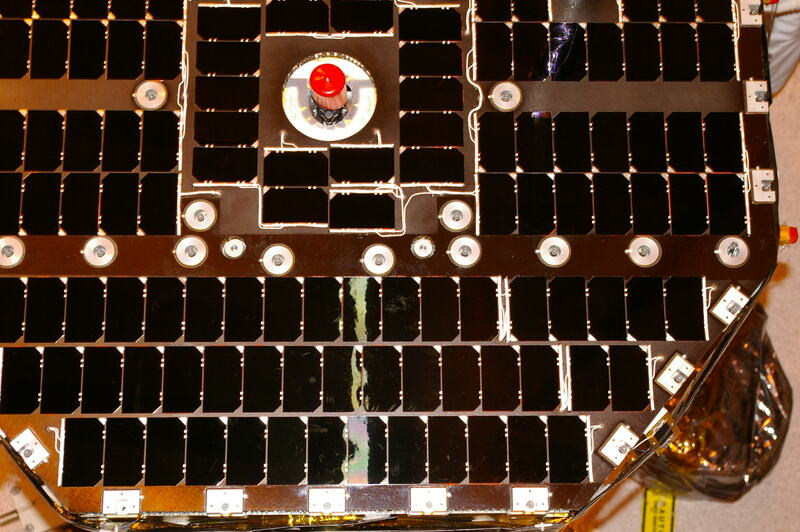 This is a close-up image of the solar panels. The red cap is covering one of IBEX's large thrusters. 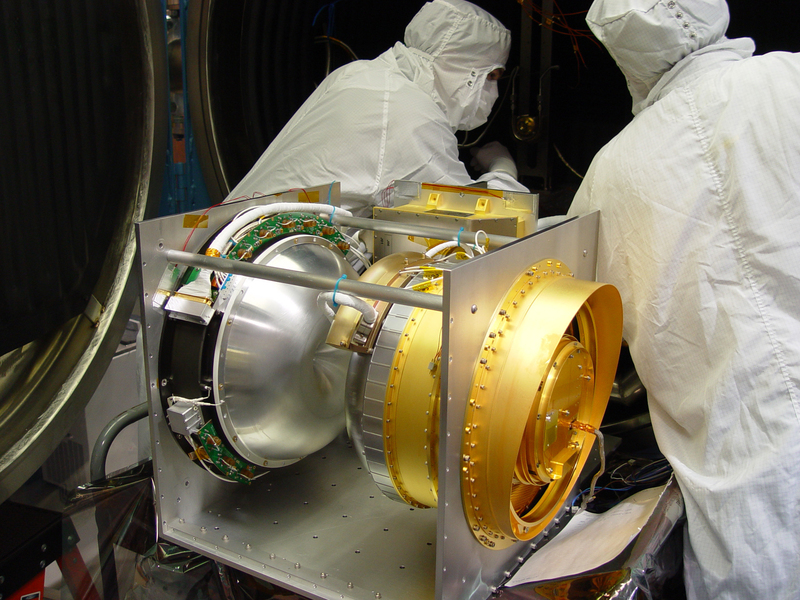 This picture shows the entire IBEX spacecraft. The gold cylindrical part on the right is the IBEX-Hi sensor. The silver “bump” on the left is the micro-meteoroid shield over the propulsion tanks. The long “arm” protruding from the top is IBEX's antenna, used for communicating with Earth. 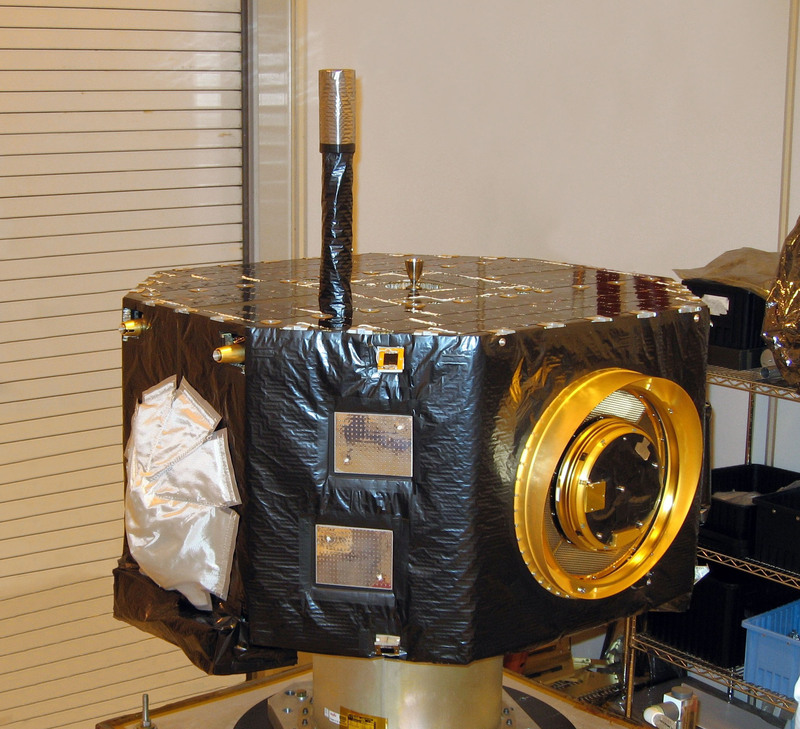 The two small metal squares on the front are the spacecraft's heat radiators, which allow it to keep cool. The top of IBEX is covered with panels that utilize the Sun as its power source. The cone-shaped item in the middle of the solar panels is one of IBEX's large thrusters, used for moving IBEX so that its solar panels always point at the Sun. 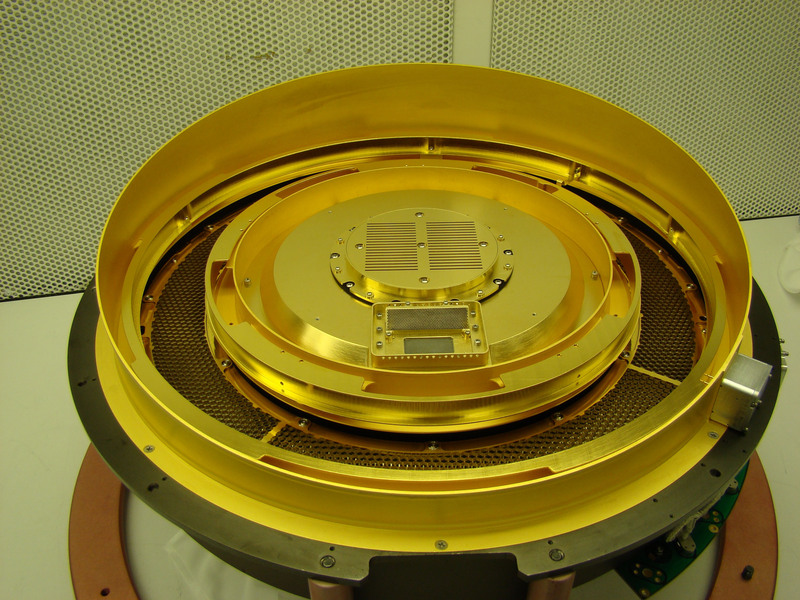 This is an image of the IBEX-Hi and IBEX-Lo sensors taken during the IBEX payload thermal vacuum testing. 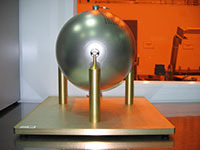 For this test, the sensors were loaded into a special chamber (seen in the background) and exposed to heat and vacuum conditions similar to what they would experience while in space. The sensor seen more directly from the front is IBEX-Hi.